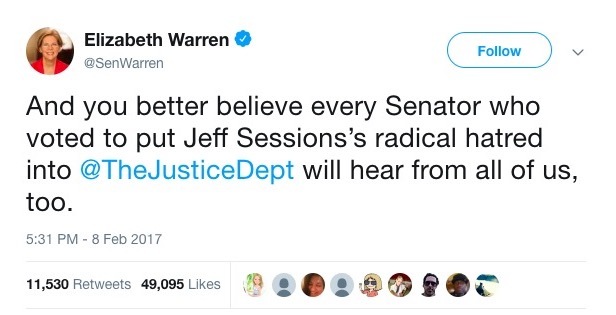 San Fran Nan and Fauxcahonta have more twists than a circus contortionist trying to first vilify then give victim status to former Attorney General Jeff Sessions. The firing of Jeff Sessions as Attorney General has caused quite a conundrum for a few people on the left. Do they celebrate that an obvious ‘Trump sycophant’ is gone, or do they cry foul at the blatant ‘authoritarianism’ of the President? It’s a real dilemma, guys. This is what happens when your Trump Derangement Syndrome™ has a Split Personality Disorder. 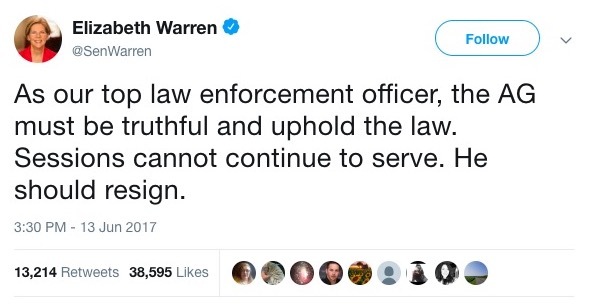 And then there’s Fauxcahontas, Elizabeth Warren, who is on an altogether differentlevel. 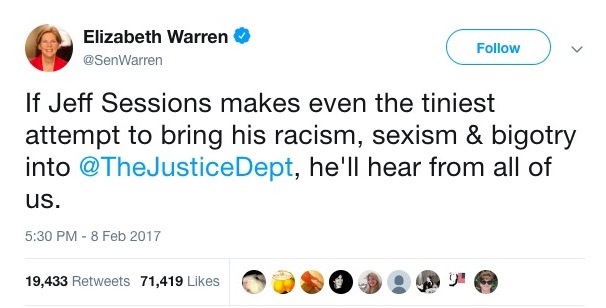 She had a whole lot to say about Jeff Sessions becoming Attorney General because he was ‘unfit’ for office because he’s a racist, bigot, who eats children or something. And then she expressed how upset she was with the Senate for confirming him. 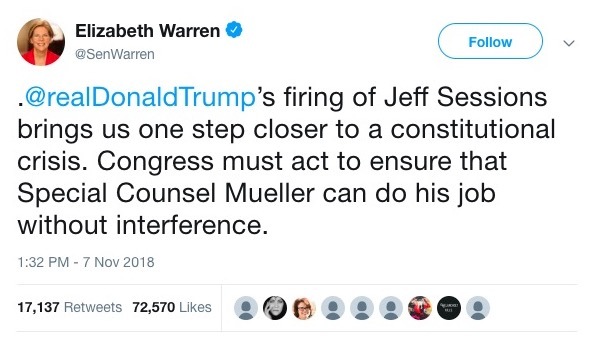 Warren was then incredibly concerned about his role in stomping out the investigation into ‘Russian Collusion’. 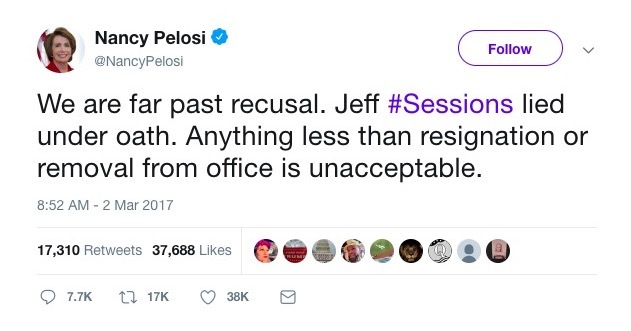 She even demands his resignation. But, now that Sessions is no longer the AG, it’s a ‘Constitutional Crisis’. So, which is it, Liz? Should Sessions be AG or not? 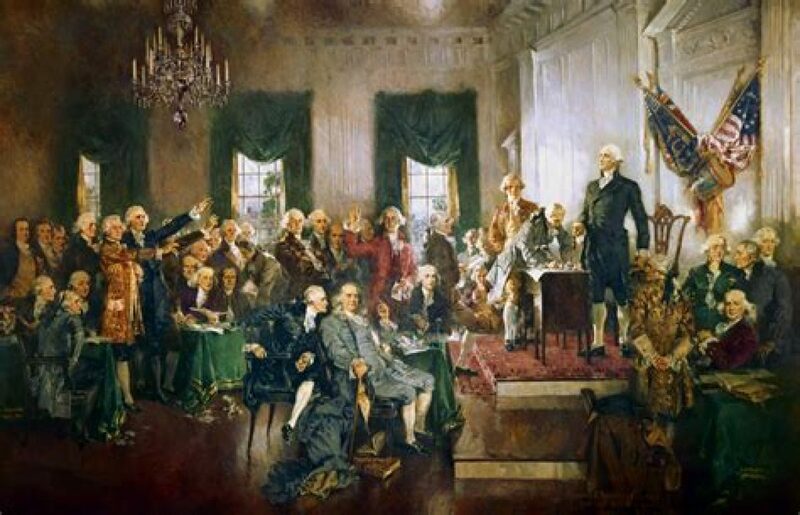 Is it a ‘Constitutional crisis’ or not? 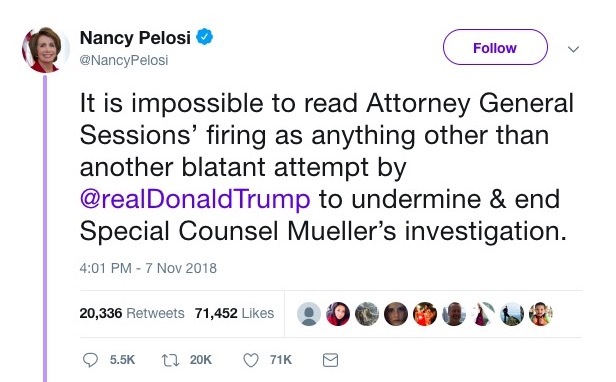 It’s gotta be rough being Pelosi or Warren these days. I’m sure they imagined their lives wouldn’t be like this — after dedicating their lives to politics, they’re stuck helplessly standing on the sidelines watching the tremendous success of reality television star, President Donald J. Trump, and trying to remain consistent in their constant barrage of criticism. I think the ‘Old Guard’ in the Democratic Party is officially broken, which is a little terrifying considering what the new recruits are like.